Queen of the Clan: The Forgotten Locket by Lisa Mangum and a Giveaway! 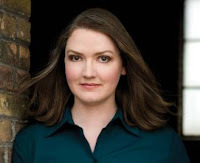 The Forgotten Locket by Lisa Mangum and a Giveaway! First of all, let me start of by announcing the winner of last week's giveaway. I know y'all have had your fingers crossed, just hoping that your name would get picked as the winner of Bumpy Landings by Donald J. Carey. A big thank you to everyone who entered. So, let the drum roll begin . . . The winner, curtsey of Random.org is . . . is . . . . is . . .
Chickie, send me an email with your mailing address. Thank you! 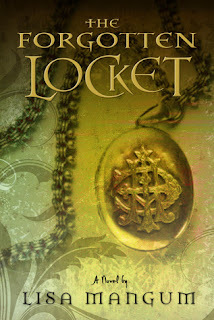 As I already said, The Forgotton Locket is the finale - the last book. I was lucky enough to score an advanced copy from the awesome Lisa Mangum at the LDStorymakers Writers Conference. During our book signing together (where she was signing the first two books of the series - The Hourglass Door and The Golden Spiral), Lisa leaned over to me and whispered, "I have a little something for you, Danyelle." Then she slipped a hard cover copy of The Forgotten Locket into my lap. I just about had a heart attack, I was so stinkin' excited! And man, oh man. It's awesomeness! There's so MUCH I want to tell you about the book . . . except that if I do, then it will be major spoilers for everyone waiting to purchase their copies when it hits the shelves (which should be any day now. So go check your local book store!). I will tell you that the whole cast and crew is in The Forgotten Locket. Abby travels back in time to when Dante was originally imprisoned. Secrets are revealed, really bad things happen, the tension gets kicked up several notches, and . . . you'll have to read it to find out how it ends. I love easy giveaways. So here's the deal. To win your own AUTOGRAPHED copy of The Forgotten Locket, then keep reading on reading through the interview with Lisa Mangum. Then leave a comment and tell us something you would like to ask Lisa about The Hourglass Door series. You have until Sunday night to comment. I will announce the winner Monday morning. 1. What was your favorite Abby moment? Oh, this is tricky. Without giving anything away, there is a moment when Abby is in the dungeon and Zo has just done something bad and Domenico asks Abby where she’s going and she says, “Hunting.” I thought it was a great moment for Abby to showcase her courage and her determination. And of course, all the times she gets to kiss Dante made me a little weak in the knees as well. 2. If The Hourglass Door was made into a movie, which celebrity would you choose to play Dante? I think Ben Barnes (from Prince Caspian) is pretty adorable and would make a good Dante. Oh yes! Ben's definitely Dante material! 3. Which book of the series is your favorite? Why? While I love all three of them, I do have a special place in my heart for Hourglass Door. I think it’s because Hourglass was my first book and I remember being so excited to work on it every day. (Not that I wasn’t excited to work on the other two, of course.) I loved being able to introduce Abby and Dante to each other and have them experience those first moments of falling in love. I loved getting to know Zo and Valerie. And I loved uncovering the surprising twists to a story I thought I knew. 4. I know this is the end of the series. =( The romantic girly girl in me wants to know how you imagine Abby and Dante's future wedding? The romantic girly-girl in me has thought about this too. =) I picture their wedding happening a few years down the road, after Abby and Dante have a few college classes under their belt. Dante would take Abby to dinner and a play, where he would surprise her with a ring and officially propose. They’d get married in the summertime, under a tall tree on a grassy hill covered with wildflowers. Everyone would be there: all of Abby’s family, Jason and Natalie, Valerie, Leo. Abby’s dress would bear an uncanny resemblance to Caterina’s wedding dress, though with some extra pearls and the perfect neckline to showcase a very special locket that Abby still wears every day. Dante would write a special poem for Abby as part of his vows, and they would kiss just as the sun starts to set. 5. Can you give us any hints about what you're working on next? Thank you, Lisa! Congrats on your new book, The Forgotten Locket! To purchase the series from Amazon, click on the links below. First, I just wanna say that I LOVE these books and I've been waiting for Forgotten Locket forever! I was wondering what made you decide to do a time travel romance? It's such a cool, unique concept! Awesome interview! What made was her inspiration for the hourglass door series? I loved the first two books and can't wait for the last one. If this became a movie, who would you want to play Abby? I would like to know how she decides what to write when she signs books. I want to know where the idea for the series came from. Thanks for the giveaway! Thanks for the interview! Lisa is SO awesome! I've loved all the times I've had a chance to talk to her and hear her speak. So Lisa, you're writing a contemporary now and working with a different genre. I keep hearing everywhere - Pick a genre. But my first novel is General Adult and now I'm writing a YA fantasy. Is it easier to write in different genres after you've already published? Or do you have some sage advice for how I can do that too even though I don't have any books published yet. Thanks! I would ask what made her stop the series! Danyelle, I want to know if Lisa modeled Dante after her hubbie. I also want to know where she was when the first idea for her story hit. Oh I sooo want a copy!! Danielle, I'm so happy for what's happening with your book though, I have to say I need to get a copy of it. I'm so excited for you!!! I would like to know how much of herself Lisa feels comes out in her characters personalities? Oh, pick me! Pick me! I love contests and I NEED that last book! The question I have for Lisa is this . . . In a movie, who would play Abby. 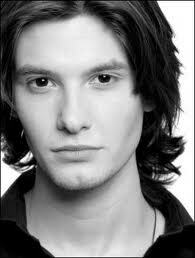 I love the Prince Caspian guy. Who would be his counter part????? Thanks for all the comments and questions, folks! I'll do my best to answer them all. 1. What was the inspiration for the series? (How did I come up with the idea?) Where was I when the first idea for the story hit? Answer: I combined these questions because I can use the same answer for all of them. I was driving to Provo for a writing conference and thinking about what I might write about if I were to write a YA novel, and right as I passed Thanksgiving Point, it was like Abby and Dante jumped in my car and said, "Oh, tell our story!" I drew inspiration from Dante's "Divine Comedy" for the romance angle to the story, and that lead me to have a tie the story to Italy, and from there it was a short hop to da Vinci--and of course if anyone was going to build a working time machine, it would be da Vinici, right? And by the time I got to Provo, I had the entire trilogy plotted out. I knew where the books were going to start and stop; I knew who the main characters were. I even knew some key scenes and lines of dialogue. It was an INTENSE drive to say the least. 2. What made me stop the series? Answer: This follows up nicely to the first question. I ended the story where I did because I always knew it would be a trilogy. I wanted to tell an entire story and that happened to fit nicely into 3 books. 3. Is Dante modeled after my husband? Answer: Nope. And he'll be the first one to say so too. But having said that, there are things about my husband that did find their way into the story. Things about what I believe about relationships and trust and love. And Dante did have some Tracy-approved lines of dialogue in the book. 4. How do I decide what to write when I sign books? Answer: I actually thought long and hard about what to write as a note in Hourglass Door. I wanted something that related to the book and the story and that would still be short and easy to write in each book. What I ended up with was "Time is fleeting. Love is eternal." Of course, sometimes I write special notes like "Happy birthday." 5. How much of me came out in my character's personalities? Answer: Certainly there is a lot of me in Abby's character (we both share a similar first-kiss story, for example) but I think Abby is braver than I was in high school. She's also more adventurous than I am. But we both believe that it's important to make the right choice--even if it is a hard choice to make. 6. Is it easier to write in different genres? Answer: Even though my next project is more of a contemporary YA novel (without the touch of fantasy that Hourglass has), I'm not sure that it would be considered an entirely different genre. It all falls under the YA umbrella. If you're interested in writing in different genres, I say go for it! Write the story that is in you--even if the next story that comes to you is in a different genre. 7. Who do I see playing Abby in the movie? Answer: I've been really impressed with Emma Watson (when her hair was longer). I think Emma Stone might be a good choice too. It's harder for me to imagine Abby in the movie because I wrote the book from her POV and so I saw the world through her eyes. So Much Awesomeness to Share! (dis)Abilities and the Gospel Blog Tour Kick Off!